FDM Group, an international professional services company with a focus on IT, believes that returners are an untapped talent pool which can help employers to fill their digital skills gap. With this in mind the group established its Getting Back to Business Programme which has been specifically designed to provide employment opportunities for high-calibre individuals who have taken an extended break in their career, facilitating their re-entry into the workplace. The programme identifies and reskills talented people in IT and business specialities before placing them as FDM IT and Business consultants to work onsite with its clients for a minimum of two years. The programme is currently available at the company’s London and Glasgow Academies and will launch in the Leeds Academy in Spring 2018. The programme consists of award-winning training led by experienced trainers aimed at facilitating fast-track career progression back into business. As well as professional skills training to help rebuild confidence, the programme provides an opportunity to refresh skills and study for professional certifications along with mentoring and ongoing support throughout. To date 70 people have gone through the experience and FDM’s clients have welcomed the consultants from the programme, recognising the experience and diversity that they bring to their teams. 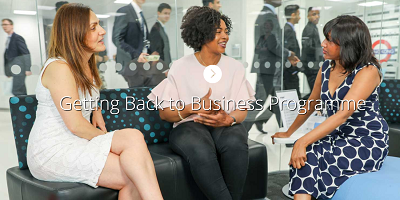 The programme is open to those looking to return to work after a career break of more than a year, have a degree or relevant work experience in business analysis, project support or project management and an interest in becoming a business consultant. Everyone who joins the programme has to be able to commit to working for FDM for 2 years after completion of the training and upon completion of the training be able to work full time in a role within an hour commute of one of the FDM centres.